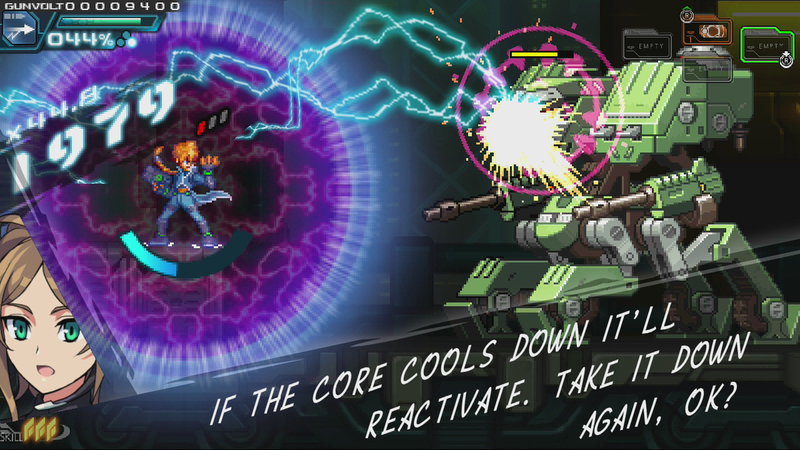 Azure Striker Gunvolt and its sequel brought a fresh, arcade-like take to Inti Creates' certified Mega Man formula. Both games are among the top 2D side-scrollers on Nintendo 3DS. 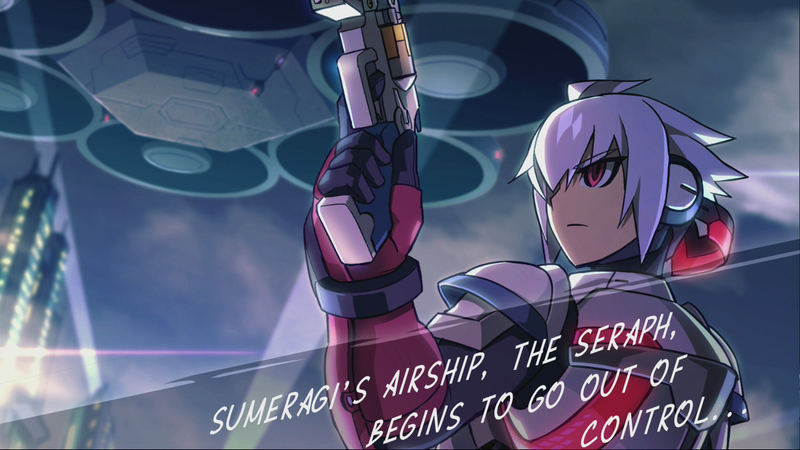 Starting today, they're making a mark on Nintendo Switch with Azure Striker Gunvolt: Striker Pack. I had the opportunity to play the Switch version about a week in advance and I gotta say, it's pretty much the definitive Gunvolt package. While the games themselves run as smooth as you could possibly want (in full 60fps no less) it was the presentation that really drove it home. I enjoyed both games on Nintendo 3DS... but the intrusive heads-up-display made for an uncomfortable experience. There was just too much going on in such a small space. Thankfully, the HUD in Striker Pack is smaller due in part to Nintendo Switch's resolution. I was able to play both games better than I did on 3DS. Speaking of resolution, in-game text is MUCH easier to read. That's a huge plus for my diminishing eye-sight. Also, most if not all event scenes are presented in HD. They look great. My only wish is the high-res treatment applied to everything else too – sprites, backgrounds, menus, etc. Remember, Striker Pack is NOT an HD Gunvolt. I'm hopeful, though, that's a product for the future. 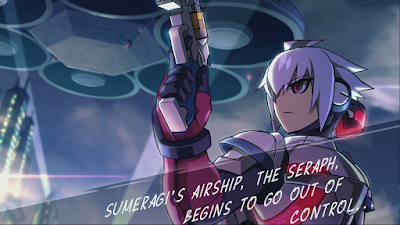 If you've yet to play Gunvolt 1 or Gunvolt 2, you really should pick up Striker Pack on Switch. It's the best version of both games (at the time of this writing). Splendid stuff. 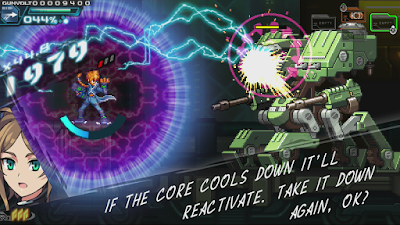 Azure Striker Gunvolt: Striker Pack launches on Nintendo Switch today for $39.99. A physical release is planned to hit retail in North America and Europe later this fall! Glad to see the HUD is much better. I assume by one screen menus that you mean they don't do the weird "this looks like a 3DS emulator" thing where there's a mini screen rendered as well? I do like the Gunvolt series a lot, I'll definitely be picking up the physical version for Switch in the future. glad to see the midriff! Biggest question though, does the Shovel Knight Amiibo work with the switch?